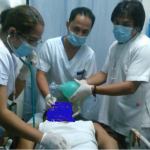 A few years back, while conducting BLS ACLS training in Cagayan De Oro City, a participant from Pagadian City in the name of Mr. Joseph Toniacao R.N. joined our training together with his friends (workmates) in the hospital. They decided to join the training considering that it is a requirement for their application abroad. Shortly after the training, he invited our team to conduct similar training in his city. It was indeed our pleasure to conduct the training and to make the long story short, we have conducted several batches of training in his area with Mr. Toniacao being the coordinator. 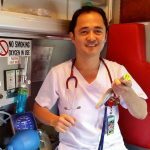 We are indeed proud to have Mr. Tonicao as a participant and as a coordinator and is indeed very happy to know what he has accomplished for the past years in his medical career. 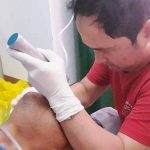 Only few R.N.’s are given the opportunity to intubate patients in our area and Mr. Toniacao is one of them. He has attributed his knowledge and skilsl to the training that we have provided but I can say that it is all because of him. Surely Mr. Toniaco is making a difference and because of this, we find it worthy to write this post to honor such an accomplishment. Currently he is planning to go abroad to find a greener pasture. We wish you the best sir! I am sure with your abilities and skills you will surely go a long long way. We also hope that through this post, you will become an inspiration to your fellow nurses in making a difference! This entry was posted in News and Events on February 20, 2017 by basiclifesaving.